Fiona Ingram, author of the middle grade adventure novel, The Secret of the Sacred Scarab, is stopping off at Cafe of Dreams on Day 3 of her virtual book tour with Pump Up Your Book! Win a copy of her book at Cafe of Dreams at http://www.cafeofdreamsbookreviews.com/2012/02/fiona-ingram-365-days-of-great-authors.html! Fiona Ingram, author of the middle grade adventure novel, The Secret of the Sacred Scarab, is stopping off at Literal Exposure on Day 10 of her virtual book tour with Pump Up Your Book! Fiona writes about creating a children’s book series at Literal Exposure at http://literalexposure.com/2012/01/16/guest-post-from-fiona-ingram-author-of-the-secret-of-the-sacred-scarab/. Fiona Ingram, author of the middle grade adventure novel, The Secret of the Sacred Scarab, is stopping off at Review From Here on Day 7 of her virtual book tour with Pump Up Your Book! Read her interview at Review From Here at http://reviewfromhere.com/2012/01/12/interview-with-author-fiona-ingram/! Fiona Ingram, author of the middle grade adventure novel, The Secret of the Sacred Scarab, is stopping off at Everyday is an Adventure on Day 4 of her virtual book tour with Pump Up Your Book! 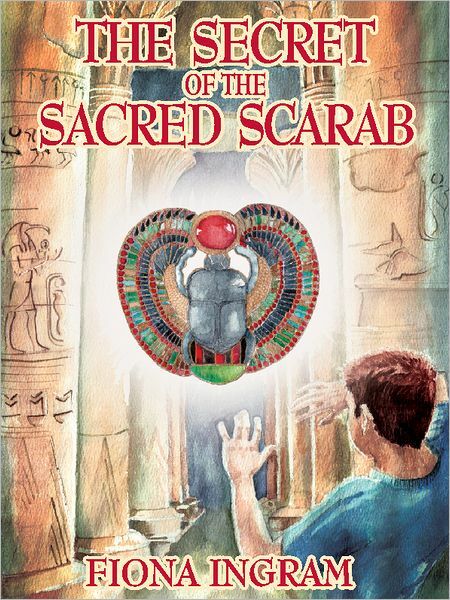 Read her wonderful book review at http://everydayadventure11.blogspot.com/2012/01/secret-of-scarab-by-fiona-ingram-review.html! Fiona Ingram, author of the middle grade adventure novel, The Secret of the Sacred Scarab, is stopping off at Pump Up Your Book on Day 2 of her virtual book tour with Pump Up Your Book! Read her very first Twitterview at http://www.pumpupyourbook.com/2012/01/03/twitterview-middle-grade-adventure-author-fiona-ingram-cyber-chats-with-pump-up-your-book/!